Lichfield, perhaps most famous as the birthplace of Dr Samuel Johnson, is a pretty city in the English Midlands. It's the location of a medieval cathedral, notable for its unusual feature of three spires. And it is under the auspices of that cathedral that a conference (plus related book sale) is to be held over the weekend of 7-9 October (hat tip: Ian G). 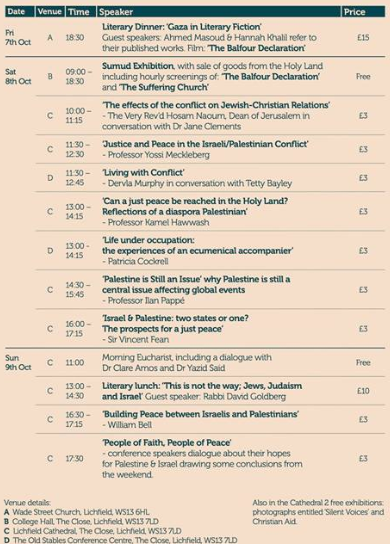 As seen at left, the title of the conference is "Holding Palestine in the Light,"which reflects the despicably one-sided nature of the enterprise, for the overwhelming majority of the speakers are notable, to a greater or lesser degree, for their antipathy towards Israel. That sad fact reflects the prejudices of the apparent driving force behind the conference, the Dean of Lichfield. "The weekend is hosted by the Very Revd. 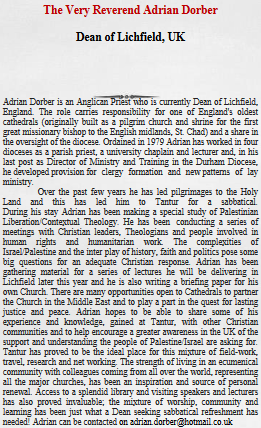 Adrian Dorber: Dean of Lichfield and Diocesan Co-ordinator for the Friends of the Holy Land, with longstanding connections to Palestine & Israel where he led both Pilgrimages and study tours." "he was Director of Ministries and Training in the Durham Diocese, Senior Chaplain and Lecturer at Portsmouth University and served in parishes in Reading and Bracknell. He is a Trustee of the Foundation for Church Leadership, a Governor of Staffordshire University, Chairman of Governors of Lichfield Cathedral School and a member of the Lichfield Festival Board. He serves on the West Midlands Training Partnership and chairs the Diocesan Local Ministry Governing Body. He is deeply interested in the impact cathedrals have on Church and nation and how cathedrals can use their unique opportunities for mission and regeneration. Adrian was co-opted onto the AEC Executive in March 2011 and elected in June 2011. He was appointed as Chairman in July 2015. 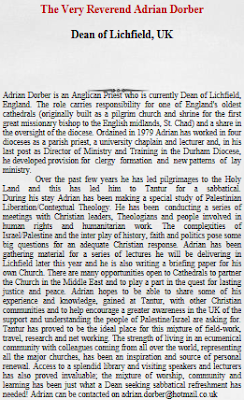 In addition to chairing the AEC, Adrian leads on cathedrals-related research". A morning of information on pilgrimages to the Holy Land which enable an encounter with the reality of Israel/Palestine. 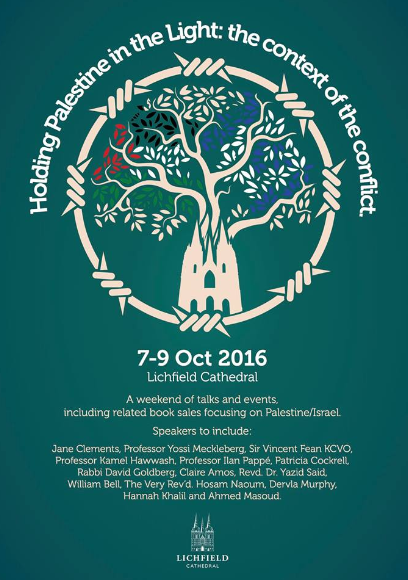 Speakers: Ann Farr (Pax Christi), Karen Chalk (ICAHD), Adrian Dorber (Dean of Lichfield)"
Below, in bold type, is the list of speakers as given on the conference website, in the order in which they are scheduled to speak. Comments below each bold typed profile, and not in bold type,are my observations. 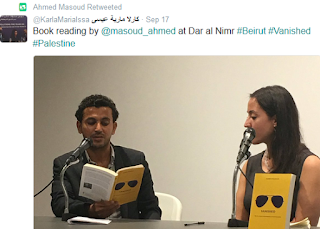 At the "literary dinner" on Friday, 7 October entitled ‘Gaza in Literary Fiction" that opens the conference, Ahmed Masoud and Hannah Khalil will mention their published works. 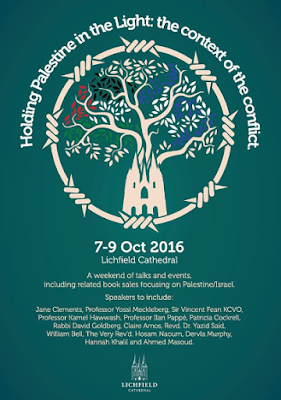 The session will include a film, "Britain in Palestine 1917-1948". 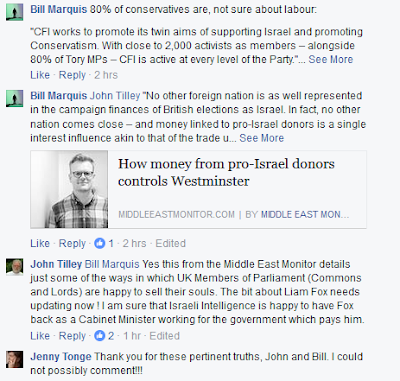 Mr Masoud's attitude towards Israel can be discerned from his Twitter page, which includes these recent representative tweets. Ms Khalil is based in London. 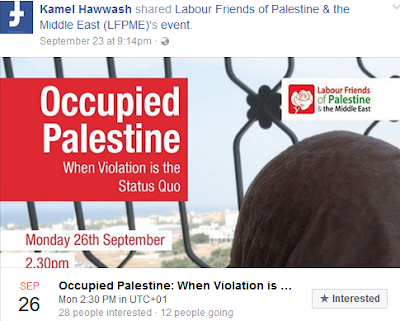 Read about 'Sumud' here: it is clear that this session will consist entirely of anti-Israel pro-Arab propaganda. Dr Clements is taking part in the session with the Very Revd Hosam Naoum (see directly below). It is billed as ‘The effects of the conflict on Jewish-Christian Relations’:The Very Rev'd Hosam Naoum, Dean of Jerusalem in conversation with Dr Jane Clements. 'The founder of an Israel-Palestine dialogue charity is to become the new director of the Council of Christian and Jews. Dr Jane Clements, who is the director of the Forum for Discussion of Israel and Palestine, will succeed the The Reverend David Gifford as head of the interfaith charity in July. Elizabeth Harris-Sawczenko, the former public affairs director of the Board of Deputies, is to join her as CCJ deputy director. Dr Clements, who has an MA in Hebrew and Jewish Studies and a PhD in Holocaust education, was previously programmes director at the CCJ before she left to start FODIP. Professor Yossi Meckleberg [sic; i.e. Meckelberg]: a distinguished academic and commentator on international affairs, who sits on the Human Rights Watch London Committee. 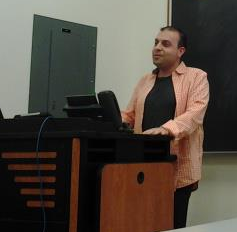 Professor Meckelberg's topic is "‘Justice and Peace in the Israeli/Palestinian Conflict". "Yossi Mekelberg has taught International Relations at Regent's University London since 1996 and is currently the International Relations and Social Sciences Programme Director at the Faculty of Humanities , Arts & Social Sciences at Regent's University London. His fields of interest are International Relations Theory, Middle East Affairs, US Foreign Policy and International Relations and Revolutions. Yossi Mekelberg is also an Associate Fellow of the Middle East Programme at the Royal Institute of International Affairs, Chatham House. In addition he is a member of the London Committee and Council of Human Rights Watch and a consultant to the Dutch simulation and education foundation Pax Ludens. He is also a founding member of the Middle East Economic Forum. Yossi is a regular contributor to the international media on these issues including BBC, CNN, Al-Jazeera, CBC, Guardian, Independent among many others. He is frequently invited to give talks, run workshops and provide advice to the British government, NATO and the EU." "Yossi Mekelberg is an Associate Fellow at the Middle East and North Africa Program at the Royal Institute of International Affairs, Chatham House, where he is involved with projects and advisory work on conflict resolution, including Track II negotiations. He is also the Director of the International Relations and Social Sciences Program at Regent’s University in London, where he has taught since 1996. Previously, he was teaching at King’s College London and Tel Aviv University. Mekelberg’s fields of interest are international relations theory, international politics of the Middle East, human rights, and international relations and revolutions. He is a member of the London Committee of Human Rights Watch, serving on the Advocacy and Outreach committee. Mekelberg is a regular contributor to the international media on a wide range of international issues and you can find him on Twitter @YMekelberg." Dervla Murphy: as a travel writer, relies on the hospitality of Palestinians and Israelis whom she meets on the way. Ms Murphy's session is ‘Living with Conflict," in conversation with Tetty Bayley. 'In 1978, Murphy wrote A Place Apart, about her travels in Northern Ireland and encounters with members of the Protestant and Catholic religious communities. It won the 1979 Christopher Ewart-Biggs Memorial Prize. She credits her 1982 book Race to the Finish? The Nuclear Stakes as a turning point which led her to write more about political issues. In 1985 she lived for several months in Bradford and Birmingham, talking to members of the Asian, Afro-Caribbean and White communities and witnessing first-hand one of the Handsworth riots (described in Tales From Two Cities). In 1992 she cycled from Kenya to Zimbabwe, where she witnessed the impact of AIDS; when describing this journey in The Ukimwi Road, she criticised the role of non-governmental organisations in sub-Saharan Africa. Her other writings include discussions about the aftermath of apartheid (South from the Limpopo) and the Rwandan genocide (Visiting Rwanda), the displacement of tribal peoples (One Foot in Laos), and post-war reconstruction of the Balkans (Through the Embers of Chaos). She is anti-globalization and critical of NATO, the World Bank, the International Monetary Fund and the World Trade Organisation.She has spoken out against nuclear power and climate change. Murphy stated that some readers disapproved of the "political stuff", but another group "tells me they haven't thought about these things in this way before and are glad that I've written and thought more about the political side. My view is that I have these things I want to say and I don't really care if it spoils a pure travel book." In 2002, aged 71, Murphy planned to cycle in the Ussuriland region of eastern Russia. She broke her knee while on the Baikal Amur Mainline railway, then tore a calf muscle while recuperating at Lake Baikal, and her plans changed to a journey around Siberia by train, boat and bus, documented in Through Siberia by Accident. She revisited Siberia and wrote a companion book, Silverland. In 2005, she visited Cuba with her daughter and three granddaughters, and made two return trips in 2006 and 2007 (described in The Island that Dared). Her Havana experiences are also featured in a collection of travellers tales. 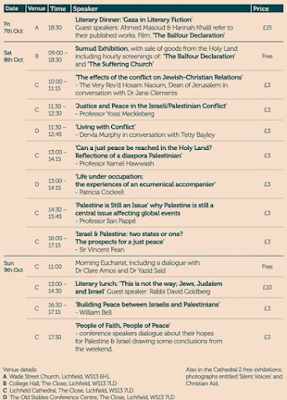 His talk is entitled "Can a just peace be reached in the Holy Land? Reflections of a diaspora Palestinian". Kamel Hawwash is Professor of Civil Engineering at the University of Birmingham. 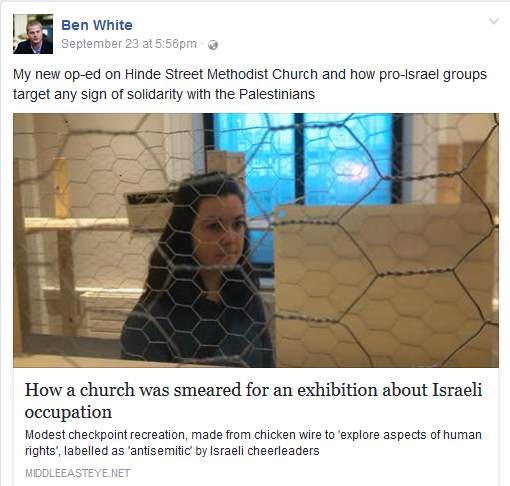 Profoundly anti-Israel, he is vice-chair of the Palestine Solidarity Campaign and frequently writes for Middle East Monitor. 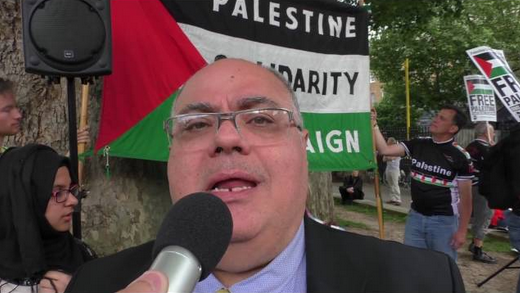 He's also appeared on Press TV and other broadcasting outlets. 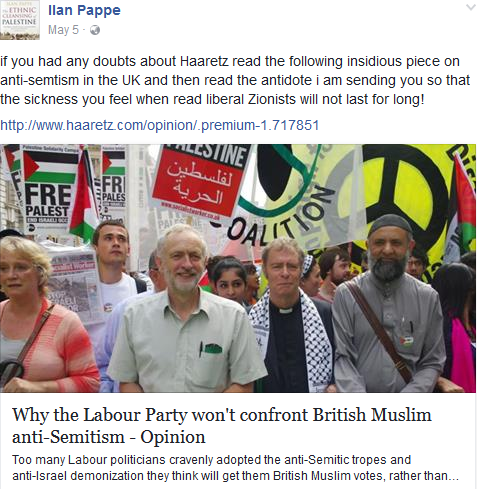 Professor Ilan Pappé: Israeli born leading historian at Exeter University. He has written many books on the conflict. If there is one participant in the conference who surely doesn't require an introduction it is the reprehensible Pappe. His topic is "‘Palestine is Still an Issue’ - why Palestine is a central issue affecting global events". The outrageous One State Declaration that he co-authored in 2007 is indicative of his vile attitude. 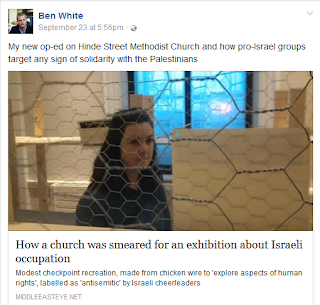 And for those who missed it, here is his recent barefaced and jocular admission that BDS did not in fact originate with a call from Palestinian Civil Society, as claimed by BDS proponents. Traveller to Israel and Palestine as part of the World Council of Churches’ Ecumenical Accompaniment Programme"
The World Council of Churches has long been known for its anti-Israel stance. 'Former Exeter teacher Patricia Cockrell who has just returned from three months living and working with local people in the Holy Land, will be reliving her experiences in Exeter tomorrow. Ms Cockrell will be giving a talk in the Music Room in Exeter's Central Library at 7.30pm. 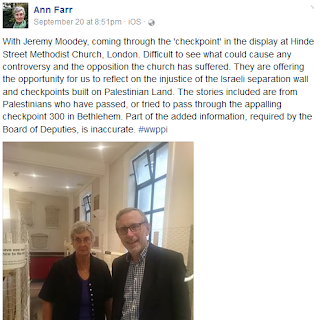 She liaised with Israeli and Palestinian peace activists, monitored violations of human rights and offered non-violent protection to vulnerable people, including children going to school and farmers to their fields, as part of an international team through the World Council of Churches. A Quaker for 25 years, Ms Cockrell was inspired by the notion of faith in action to take early retirement from teaching Russian at the Maynard School and Exeter School, in order to take up Quaker work in Russia. This included projects for refugees and disadvantaged children, peace-building in Chechnya and hospice development, for which she was awarded the MBE in 2005. She said: "Before going to the Middle East, I did a great deal of background reading and learnt some Hebrew – although I discovered that almost all the Israeli soldiers on duty at checkpoints speak Russian, English or Arabic." His talk is entitled "Israel and Palestine: two states or one? The prospects for a just peace". "Vincent Fean spent 38 years in the British Diplomatic Service, latterly as Ambassador to Libya (2006-10) and Consul-General, Jerusalem (2010-14).Now retired from the Diplomatic Service, he focuses on the Middle East and North Africa region, particularly the Israel/Palestine conflict and Libya's future. He is a trustee of Medical Aid for Palestinians and patron of the Britain Palestine Friendship and Twinning Network." 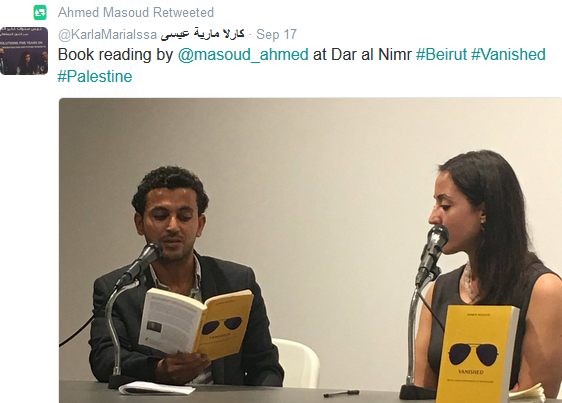 He is also, as his article in the New York Times here shows, an advocate of the recognition of a Palestinian state. I wouldn't be surprised if his talk closely resembles that article. 'Demonstrators banged and kicked a car carrying Consul General Sir Vincent Fean as he hurriedly left the campus amid fears for his safety. Sir Vincent had gone to the university near Ramallah to meet students and give a lecture. 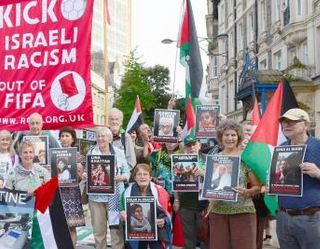 Protesters denounced Britain's support for Israel and shouted at him to leave. Video footage showed the consul general being ushered back to his car by security officials, surrounded by a crowd of students chanting "Get out of Bir Zeit!" Some held up posters of Palestinian prisoners in Israeli jails and placards condemning the Balfour Declaration of 1917 - a British pledge of support for the establishment of a Jewish "national home" in Palestine. But as an anti-Israel writer pointed out, he was the "wrong target" of their wrath, given his views on Israel and the Palestinian Arabs. "Morning Eucharist, including a dialogue with Dr Clare Amos and Dr Yazid Said" (for Dr Said see directly below). As I commented above, the WCC is no friend to Israel. Dr Amos, while apparently well-meaning, seems naively unappreciative of the difficulties Israel faces. And it is clear that there is no speaker at the conference who will set out, cogently and unequivocally, the case for Israel. 'The 14th Anglican Consultative Council (ACC) averted what some delegates feared could seriously damage Anglican-Jewish dialogue by passing a toned and pared down alternative to a resolution on the ongoing crisis in the Middle East. Claire [sic] Amos, co-ordinator of the Anglican Communion Office’s Network for Inter-faith Concerns, who prepared the alternative resolution, explained the texts in the resolution that were deemed problematic. It included one that states that the ACC “recognizes that the city of Jerusalem is equally holy to the three monotheistic faiths and must not be the monopoly of one religion.” She said that there are more than three monotheistic faiths and said it was more appropriate, in the context of the resolution, to name Christianity, Islam and Judaism. She also said there was “difficulty” around the use of the term “equally” holy. “There’s no competition of holiness,” she said, noting that some people don’t believe in the idea of holy places. "Dr Yazid Said studied English Literature and Classical Arabic at the Hebrew University in Jerusalem and Christian Theology at the University of Cambridge. After being ordained an Anglican priest, he completed his PhD at the University of Cambridge (2010) on the medieval Muslim Theologian Abu Hamid al-Ghazali. He subsequently held a post-doctoral fellowship (2010-2011) at McGill University in Canada and the Woods-Gumble fellowship at the Tantur Ecumenical Institute in Jerusalem (2011-2012). From February 2013-December2014, he was lecturer in Islamic Studies at Mater Dei Institute of Education in Dublin, and was the teach@Tübingen fellow at the Centre for Islamic Studies, the University of Tübingen, Germany. His research is focused on medieval Muslim political and legal thought and on Christian-Muslim theological encounters as well. He is the author of Ghazali’s Politics in Context (Routledge 2012)." Rabbi Dr. David Goldberg: is a liberal [sic; i.e. Liberal] Jew, active in promoting interfaith harmony and understanding. Dr Goldberg is Emeritus Rabbi of the Liberal Jewish Synagogue in St John's Wood, London. His role will be guest speaker at a Literary lunch: "This is not the way; Jews, Judaism and Israel". Those familiar with Dr Goldberg's contentious attitude to Israel could probably almost predict the script. Not for the conference a rabbi who is known for his robust support of Israel. Yet another indication of the conference's egregious bias and lack of balance. Bell is due to speak on "Building Peace between Israelis and Palestinians". Sounds fair enough But Bell has on a number of occasions displayed a slanted approach, to Israel's detriment. 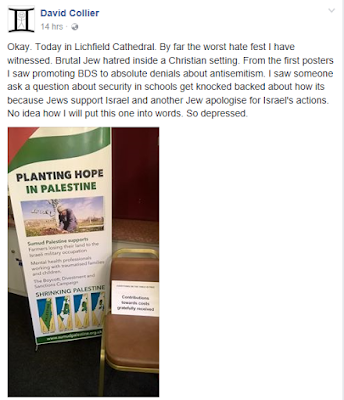 As for Michael Ipgrave, the new Bishop of Lichfield, Chairman of the Council for Christians and Jews and editor of six volumes on Christian and Muslim relations, he was only recently ordained, and it's probably too early to attempt his measure. 'has said that antisemitism is "entrenched in our thought and culture" and that historically the Church has "compounded the spread of this virus" in an essay for the Holocaust Educational Trust [HET]. He went on: "It is a shameful truth that, through its theological teachings, the Church, which should have offered an antidote, compounded the spread of this virus. The fact that antisemitism has infected the body of the Church is something of which we as Christians must be deeply repentant. We live with the consequences of our history of denial and complicity." The Archbishop highlighted contemporary anti-Jewish conspiracy theories. "Even today, in the 21st century, it is shocking that antisemitism still has traction; the virus continues to seek a host," he said. "It latches onto a variety of different issues: financial inequality, wars and depressions, education, politics and government, grave international issues, such as the rights of Israelis and Palestinians, and interfaith tensions. It twists them to its own ends, with the perverted and absurd argument that a small group runs or plots against our society and manipulates international affairs."....' [Emphasis added]. Former CIA operative Clare Lopez (full biography here) is a strategic policy and intelligence expert specialising on such issues as the Middle East, national defense, waepons of mass destruction, and counterterrorism. Vice President of the non-profit forum the Intelligence Summit, she teaches courses at the Centre for Counterintelligence and Security Studies (CI Centre) on the Iranian Intelligence Services, and the expanding influence of Jihad and Sharia in Europe and the U.S. She's co-author of two published books on Iran. At the current OCSE (Organization for Security and Cooperation in Europe) Conference in Warsaw regarding Human Rights she pulled no punches in attributing the "resurgent and savage waves of antisemitism" in Europe, especially France, to Muslims and cites as a driver "scriptural writing of the Islamic canon". Demo by Football Against Apartheid calling for the expulsion of Israel from FIFA. The action took place immediately before the local derby game at the Arsenal in front of supporters rushing to the match and beneath a police drone. 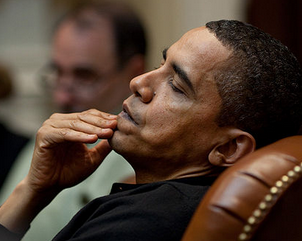 Here's the latest article by Sydney lawyer and international affairs analyst David Singer. It is a sequel to the one posted yesterday, in view of further developments. Botched airstrikes by American, Australian and British warplanes in Syria have accidentally killed at least 62 Syrian soldiers and wounded more than 100 – leading Russia to making the accusation that the “White House is defending Islamic State”. The boot was however on the other foot when America blamed Russia for an airstrike a few days later that killed 20 Syrian Red Crescent aid workers and truck drivers delivering humanitarian aid relief to 78000 civilians trapped in Aleppo province. “For weeks over the summer, experts from my government worked with our counterparts from Russia in good efforts to develop a plan that would take into account the lessons learned from the original cessation, and the key elements of that plan launched in Geneva two weeks ago include the renewal of a cessation of hostilities, excluding only Daesh [Islamic State – ed] and al-Nusrah. 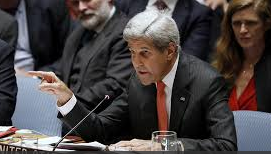 Importantly, it included arrangements for the unfettered delivery – unfettered delivery – of humanitarian aid to people in Aleppo and elsewhere in the country, and it envisioned the possibility – providing humanitarian assistance was unimpeded and sustained, and provided there were at least seven days of consecutive adherence to the cessation – that the United States and Russia would begin to coordinate their efforts against Daesh [Islamic State] and al-Nusrah. And I want to make it clear, under President Obama’s orders, all preparations were being made in order to achieve that cooperation in terms of our military and intelligence community and the work we would do. So we’re committed to that." America and Russia had again put the cart before the horse – and these two tragic events have happened as a result. Russia, America and their respective cohorts now need to get on with the job of first destroying their commonly agreed enemies - Islamic State and al- Nusrah – but only after first obtaining a UN mandated Security Council Resolution - rather than acting independently of the UN by pursuing some joint co-ordinated action of their own. Obama and Putin should urgently co-sponsor a Security Council resolution under Article 42 of the UN Charter before the Syrian sinkhole opens even wider. Such a Resolution would enable the UN to take action by air, sea, or land forces to defeat and remove Islamic State and al-Nusrah as a threat to international peace and security. All UN Members would be obliged to make available to the Security Council, on its call, armed forces, assistance, and facilities, including rights of passage. Only a UN-mandated military force led by a single commander-in-chief can ever hope to defeat Islamic State and al-Nusrah. America seems unable to understand that resolving this world threat to international peace and security in Syria must first happen before it becomes possible to start resolving the 5 year old civil war in Syria. Meantime Islamic State and al-Nusrah survive – and the inhumane suffering in Syria continues. Russia and America must use the United Nations Security Council for the purpose it was created – not as a debating forum to play the blame game. Islamic State combatants were no doubt jumping with joy following botched airstrikes against them by American, Australian and British warplanes in Syria that accidentally killed at least 60 Syrian soldiers and wounded more than 100. The 15-member United Nations (UN) Security Council met on 17 September after Russia demanded an emergency session to discuss the American-led airstrike fiasco. "Russia really needs to stop the cheap point scoring and the grandstanding and the stunts and focus on what matters, which is implementation of something we negotiated in good faith with them"
The boot was however on the other foot with America blaming Russia for an airstrike a few days later that killed 20 Syrian Red Crescent aid workers and truck drivers delivering humanitarian aid relief to 78000 civilians trapped in Aleppo province. 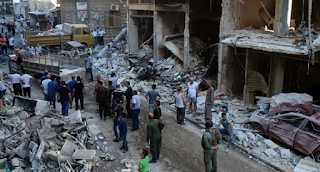 Islamic State no doubt relishes these recriminations and counter recriminations that will guarantee the end of the current tenuous ceasefire. This disastrous state of affairs could have been avoided had Russia, America and their respective cohorts agreed to concentrate on jointly destroying their common agreed enemy – Islamic State – under a UN mandated Security Council Resolution, rather than acting independently of each other. President Obama’s decision to intrude uninvited upon Syrian sovereign territory in September 2014 without the backing of a Chapter VII UN Security Council Resolution has seen America behind the eight ball ever since. The chickens are now coming home to roost for America as the consequences of its by-passing the UN unfolded this past week. Obama and Putin now need to urgently sponsor a Security Council resolution under Article 42 of the UN Charter before the Syrian sinkhole opens even wider. Such a Resolution would enable the UN to take action by air, sea, or land forces as might be necessary to defeat and remove Islamic State as a threat to international peace and security. All UN Members would be obliged to make available to the Security Council, on its call, armed forces, assistance, and facilities, including rights of passage, necessary for the purpose of defeating Islamic State. 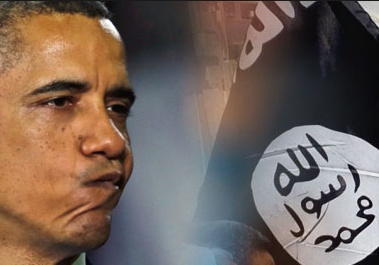 Only a UN-mandated military force led by a single commander-in-chief can ever hope to defeat Islamic State and end the threat to world peace that this evil organisation represents. How many more horrendous incidents like these latest two have to occur before Russia and America agree to jointly initiate action in the Security Council to confront and eliminate Islamic State? Resolving Syria’s horrific five year civil war cannot be achieved until Islamic State is comprehensively routed and driven out of Syria. The name-calling and blame games being traded between Russia and America serve no purpose other than to prolong Islamic State’s existence and Syria’s suffering. Wake up Russia and America. Academic Who Dreams of Israel's Demise Takes US Students on Free "Trip of a Lifetime"
I believe that we can and will realize this within our lifetime." 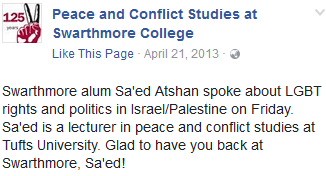 The words are those of Swarthmore College visiting professor in Peace and Conflict Studies (and class of '06 graduate) Sa'ed Atshan [pictured], quoted in the Summer 2016 Swarthmore College [alumni] Bulletin that I finally got around to reading today, having flicked through the class notes a fortnight or so ago. 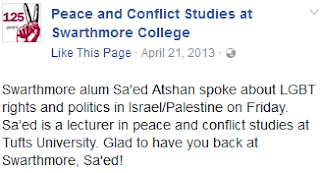 It's on a profile of Atshan on page 8 by one Michael Agresta, demonstrating how Atshan, an Arab Quaker who attended Ramallah Friends School, "balances scholarship and peace activism". 'Over winter break, 19 students from Sa’ed Atshan ’06’s Israeli-Palestinian Conflict class spent 10 days in that region of the Middle East, meeting with top humanitarian figures on all sides of the conflict. The journey was free for the entire class, thanks primarily to funding from an anonymous donor. Though the trip occurred during a break in the academic year, the students found it as demanding as any other Swarthmore experience. The group’s itinerary swept the region, with stops in Israel and the West Bank: Tel Aviv, Haifa, the Negev, Jerusalem, Bethlehem, Ramallah, and Hebron. 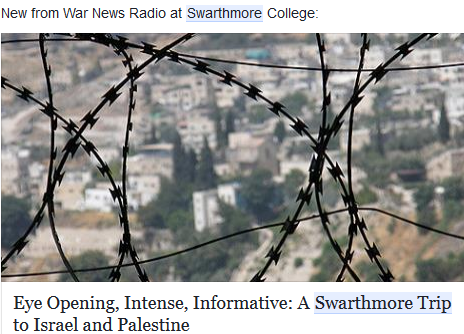 On each day the travelers spoke with about 10 of the area’s most influential peace activists, including Israeli and Palestinian Swarthmore alumni, during meetings that began at 8 a.m. and typically ended around 10 p.m. 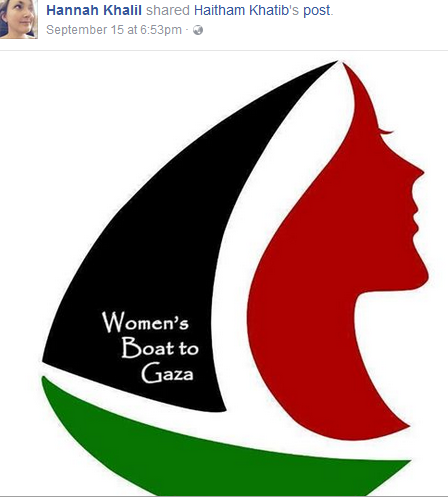 There is a podcast interview here by Joelle Hageboutros of this extremist Swarthmore group with three participants in the trip. 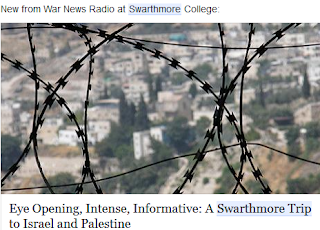 If you can be bothered to listen to this depressing piece of Israel-bashing (the photo below is a clue to the slant) you will notice that Ms Hageboutros states that the trip was organised by Atshan "in conjunction with Boston College and fully funded by Swarthmore" (which conflicts with the information given by Carrie Compton). The interview shows how much these young participants have been brainwashed by the "peace activists" with whom they came in contact. Though I suspect, that at least one of the interviewees needed little encouragement to become a "useful idiot". 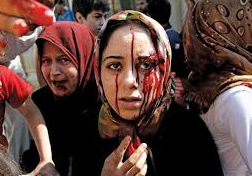 When they talk of "peace" is it the demise of Israel that they, too, seek? Sadly, I assume so. Sa'ed Atshan is gay, it seems. The photo at the top shows him at Swarthmore in 2013, visiting from Tufts. No doubt he had only good things to say about the treatment of gays in Israel compared wiith Arab states, and his audience was duly impressed and appreciative. with the enlightened attitude of the little Jewish State. Huh? Alas for Dr Atshan's "dream" of a replacement state in which all would live in harmony, tasting and meting out only loving kindness, we don't need a much-vaunted Swarthmore or Ivy League education to work out who, in the kind of state that would inevitably follow his "dream" of the fall of the Zionist Entity, would have reason to fear the sight of cranes and the tops of tall buildings. Let's hope the kids snap out of their fantasies soon. "Angered at Israel's treatment of Palestinians, the pair last month launched an online petition calling for the boycott. They have collected about 100 signatures but have also provoked a counter-petition that attacks the pair for singling out Israel and failing to request similar boycotts of academic contacts with totalitarian regimes such as China and the Arab states." 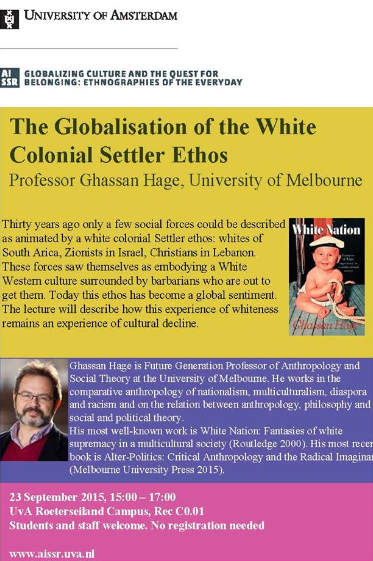 The Lebanese-born academic referred to was anthropologist Ghassan Hage, then of the University of Sydney and now of the University of Melbourne (see image at left, dating to 2015). As I well recall, the online petition he co-sponsored soon became a laughing stock. How the two co-authors must have exulted at seeing the number of signatures steadily rise, only to realise that swelling the numbers were such monikers as "Adolf Hitler" and "Yasser Arafat" and even, if I recall correctly, "Ariel Sharon". 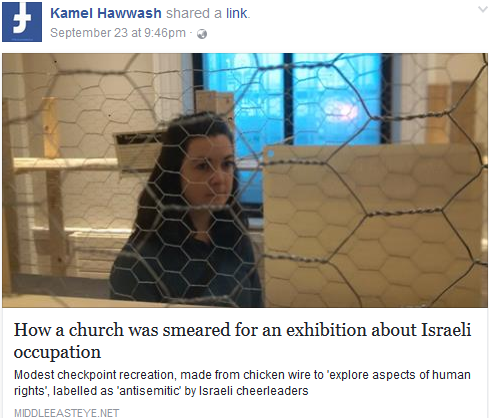 Thus adorned with signatures each more preposterous than the last, and teeming with pro-Israel comments, the flopped petition was in effect put out of its misery when its "add signature" facility was hidden from public view so that no further sport could be had with it. Now, Professor Hage has hit the headlines, so to speak, of the execrable Mondoweiss, for his response to the Anthropological Association of Israel, inviting him to be keynote speaker at its conference. Not that this refusal should come as much of a surprise to Mondoweiss's readers, for they will have seen here that Professor Hage is a proponent of an academic boycott of Israel! Professor Hage posted his response to the invitation on Facebook a day or two ago, and it has attracted (when last I looked) 397 likes, 47 comments, and 163 shares there. It seems all leftist anti-Israel life is exulting, in Australia and overseas (yes, there anti-Israel Israeli-born academics among them). I have spent a bit of time writing this so it is a bit formal. That’s not the intention. It’s more that I want to be as clear as possible about my reasons. I sincerely appreciate your invitation to give the keynote at the Anthropological Association of Israel. And I accept that it is an invitation made in good faith that emanates from your desire to open up the association to voices that are strongly critical of Israel as it has come to exist in the world today, and that as you say are not heard enough. I am afraid I have to decline from accepting your invitation. I can’t say I am overjoyed to decline. As I mentioned to you before by temperament I am always inclined and disposed to dialogue, but I have thought hard about what my presence would achieve and I feel that the end result is negative not positive. But in thinking what is positive and what is negative I am thinking of how it impacts on the struggle of the Palestinian people to free themselves of colonialism, not the struggle of Israeli anthropologists to make their society more open minded and receptive. It is a mistake to equate the two even though they might occasionally overlap in terms of interest. You probably don’t want to hear me giving you a full blast of my reasons. And you might even think that you have heard it all before. But I genuinely accept that you want dialogue. And so I want to quickly say why, while I am also all for dialogue, I am not for the dialogue as you are proposing it, even though I am more than flattered about what you say about my work and thankful that you thought of me as a possible keynoter. Israeli anthropologists face a number of situations that are similar to those we face in other settler colonial environments such as Australia, New Zealand, Canada and the United States. We are all anthropologists working in a social space that is always already vampirically sucking a native population dry and violently (legally and illegally) blocking its claims to the land. You Israelis have to face the extra situation that your vampiric history is relatively short and new, the population that has been colonised by you is still relatively strong and still making claims of national sovereignty and autonomy over the land. The dominant forces in your society aspire to get to a situation where this will stop being the case. It aims to efface the existence of Palestinians as claimants of sovereignty and it is subjecting them to horrendous inhumane violence of a scale, intensity and permanence that is so beyond acceptable. 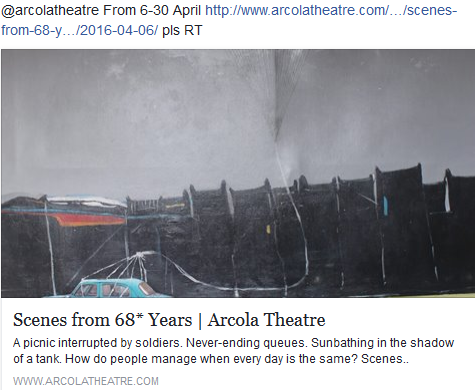 This is what your own Baruch Kimmerling has beautifully called politicide. So to me, the beginning of any decolonial anthropology is to be anti-politicidal. It has to be concerned with how to stop this horrendous violence and how to give presence and political and social power to the colonised. It is not about making the anthropologist of the colonising society more liberal and open minded and capable of confronting difference. This I feel is all what me presenting a keynote for your organisation would achieve: some conservatives will be upset. But that’s because they are dumb. Then there will be the intelligent liberals who will leave saying "what a feeling. 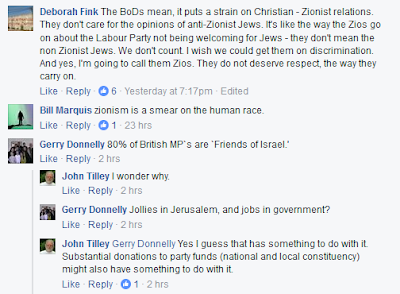 I have heard a genuinely and authentically anti-Zionist intellectual with really confronting views, and with an Arab background to boot. It was a really enriching experience, I must be so open minded and groovy." This does not and never did help the colonised. There will be a minority however who will fully understand these limitations and who will genuinely want to move towards the territory of decolonising anthropology. Those, I would love to work with, but I don’t believe the AAI is the best frame for this to be done. I have many ideas of what a dialogue towards establishing a decolonial Israeli anthropology would entail. The first among them would be for Israeli anthropologists to refuse to belong to an organisation that symbolically absences Palestine from its name, or to belong to an organization that accepts anthropologists from the settlements among its ranks. If I was invited to Israel by an organisation that calls itself the Anthropological association of Israel/Palestine, that would be a good beginning. I will see it as indicating an aspiration to confront the mono-national mono-religious and eliminationist tendencies of the state. I would be happy to meet with Israeli anthropologists who aspire for such a decolonial politics. And it would be a delight for me to discuss with them possible strategies. Given that the numbers in the foreseeable future will be small perhaps we can meet in a Palestinian café and invite some local Palestinian anthropologists to participate in a dialogue about radically different non-colonial directions. I would genuinely be happy to take part in something like this. 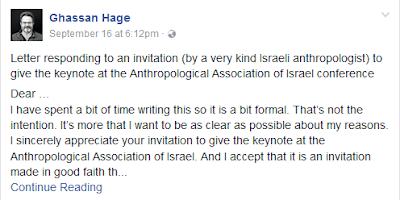 The question might be asked: since Professor Hage's antipathy to Israel is a matter of public record, why did the Anthropological Association of Israel extend their invitation to him in the first place? I had initially asked the president of the Israeli Anthropological Association who invited me, Nir Avieli, if he wanted his invitation published. As I didn't get an initial response i assumed he didn't. But he has sent me his considered response to my reply. So here they are both for the records. As you can see both my response and Nir's are polite and even cordial despite the differences, and if people want to comment, I'd rather if people keep the same tone of exchange. This situation actually reminds me a bit of the politics of positive discrimination. When you are aiming for structural change, your politics can be incommensurate with individual interests and unfair to genuinely nice people. That is, you can be aiming for more women in management and you end up discriminating against a genuinely charming feminist guy. Likewise, I want to participate in dialogues that open up the space for more Palestinian anthropologists to be as subjects and participants in shaping the future of anthropology in Israel/Palestine, even if I have to forgo interacting with excellent, open-minded and charming Israeli anthropologists. Thank you for your frank mail. I am disappointed but I am certainly not surprised by your decision to decline my invitation. Colleagues I consulted in Israel and abroad told me that inviting a Palestinian and/or Middle Eastern anthropologist as a keynote for the Israeli Anthropological Association (IAA) annual meeting would be futile if not foolish: “no self-respecting Palestinian or Arab intellectual would accept such invitation”, they said. “Yes”, they added, “Edward Said came. But that was Said and the visit took place in a very different time”. Previous IAA presidents also confided in me that they made genuine efforts to invite prominent Arab anthropologists in the past: invitations that were declined. As I wrote in my original email, I do hope my invitation was not too bold, or indeed, insensitive. But because we intend to hold the annual meeting in Kfar Qasim, an Arab town known for its tragic history – I thought this might indicate our serious intentions to create genuine dialogue, rather than simply feature you as a fig-leaf for liberal minded pious anthropologists. I also felt that not even trying to invite you would be yet another indication of how we in the academic community have succumbed to the ruling regime. Giving up without even trying seems to plague the Israeli-Palestinian conflict. This is especially the case when we consider the death of the “the Israeli left” over the past decades, whose members once struggled for peace and reconciliation, but have now lost all political power and hope. We now make an invisible, silent few – the academia is perhaps the last bastion. In this sense, I hope our email exchange was a forgone conclusion, though I respect and understand your decision. To be honest, I don’t think we really disagree on the fundamentals: The IAA has officially condemned the occupation of Palestine and called upon the Israeli government to stop the military control and human and civil rights abuse and engage in peace talks. 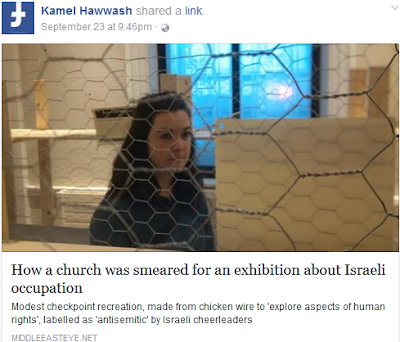 “Israeli anthropologists face a number of situations that are similar to those we face in other settler colonial environments such as Australia, New Zealand, Canada and the United States. We are all anthropologists working in a social space that is always already vampirically sucking a native population dry and violently (legally and illegally) blocking its claims to the land”. Indeed, you and I face similar difficulties and dilemmas (for instance, working in public universities in Israel or Australia). The way I understand it, our privileged position demands that we critically engage in discussing sociopolitical problems, however intractable. I also feel that this is our only way of influencing others (our students or, at least, some of them) and, perhaps, having an impact. I also agree with you that the main question at hand is what would be the most effective way of assisting the Palestinians in their struggle for freedom and independence. In a week in which the US administration committed 37 BILLION DOLLARS of the US tax payers money in military assistance to Israel, the largest ever sum of money given by the US to any foreign country, it is clear that the occupation of Palestine is an American interest and that the occupation is fueled by American tax payers. It is, of course, also maintained politically by the US and its allies, not least ‘Fortress Australia’: perhaps the most loyal of US allies. The way I understand it, the most effective way of assisting the Palestinians in their struggle is by demanding that the US and its allies stop supporting the occupation. I realize that anthropologists anywhere have very little political power, but this is probably the only way to help the Palestinians. Talking to Israeli anthropologists might not be very effective, but I do believe it can generate a productive discussion, to the chagrin of the ruling power. Aussie Greens See Red, Over Islamophobia "Racism"